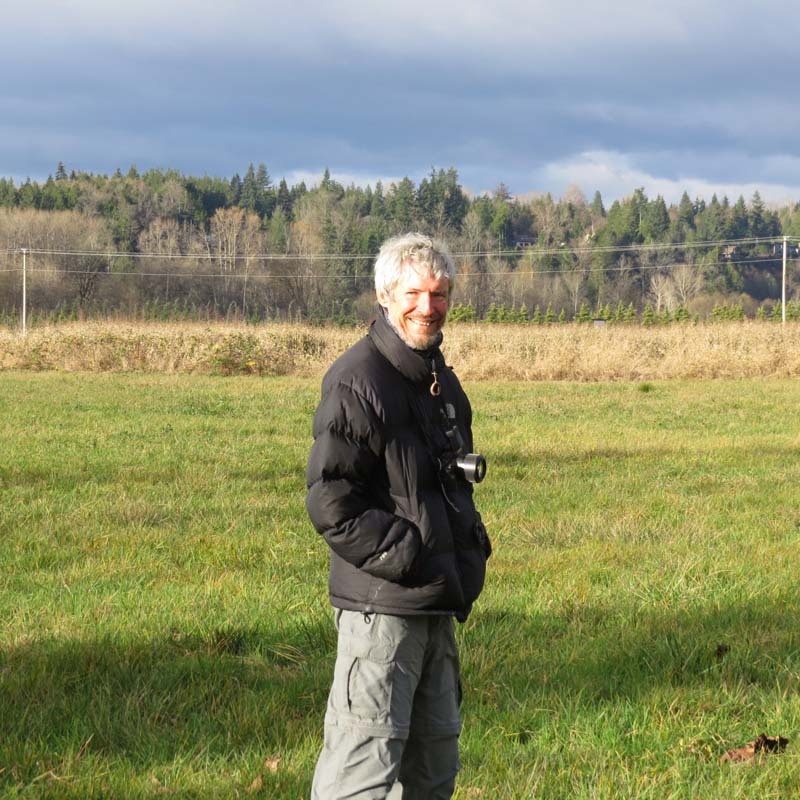 Our friend Brian Pendleton has been working on his Washington state yearbird list this year and yesterday we had the thrill of being there for Number 350. Brian had been fearing that 350 might be a Mute Swan, non-native and not welcome in many quarters, but there don’t seem to be any Mute Swans around this year. Instead #350 turned out to be a bird that is becoming among the most worried-about birds by bird conservationists in America: A Rusty Blackbird. The Rusty Blackbird was originally located on Saturday by Washington Fisheries Dept biologist and expert birder Bill Tweit. The Rusty may be the bird in the middle of this photo. 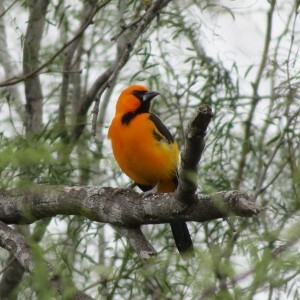 The sighting was confirmed by Gary Bletch. 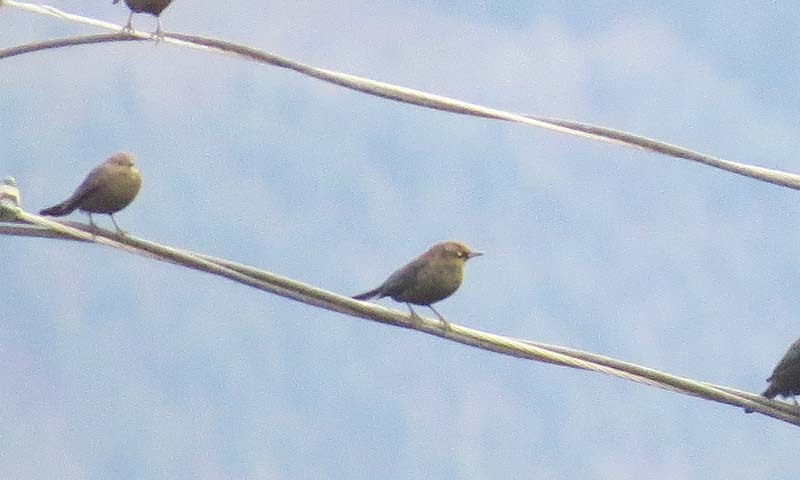 I’m not sure, however, if I saw the bird and I’m no longer positive this photo is of the Rusty Blackbird. Brian told me where to shoot and I shot, but that was after re-finding the bird and in birding, sometimes things aren’t so clear, and birds can fly away. Some Brewer’s Blackbirds have light eyes. However, note how different the female Brewer’s, in the left of the photo on the lower wire, looks from the bird in the center. Btw, I have extensive experience with Rusty Blackbirds, from happier times when they were not rare in Pennsylvania–a half-century ago. They used to set up shop in a riparian woodland near our house every May for a few days before heading off to their taiga wetland summer homes. One other happy thing–in PA, there are no Brewer’s so the ID is as easy as shooting fish in a barrel. And here’s the view looking East. We found nice birds, but no Swamp Sparrow. Delia and I have been over to Lake Sammamish State Park. 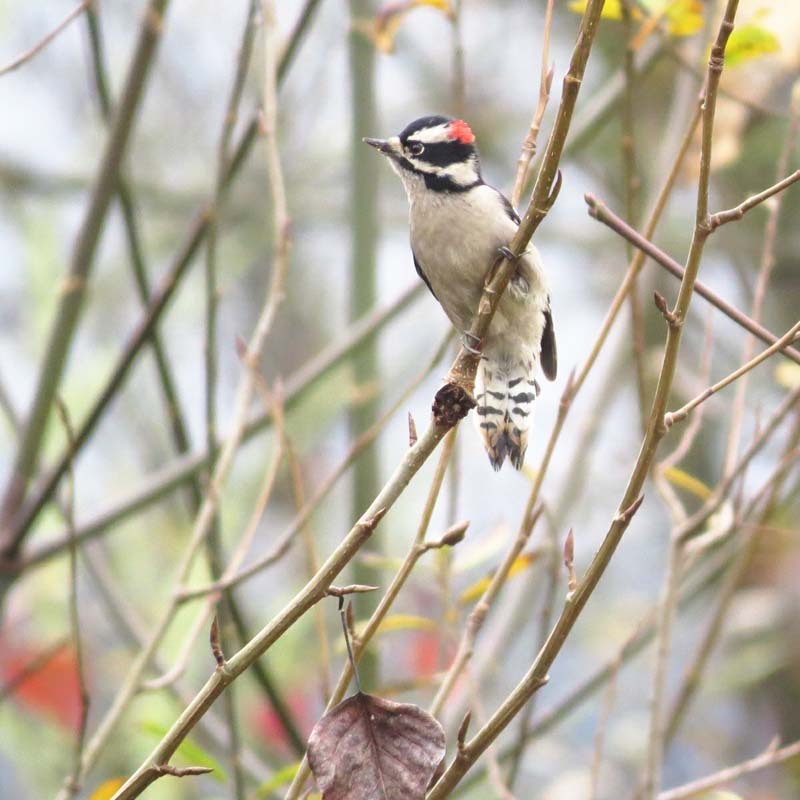 Last weekend we found this cute male Downy Woodpecker there. 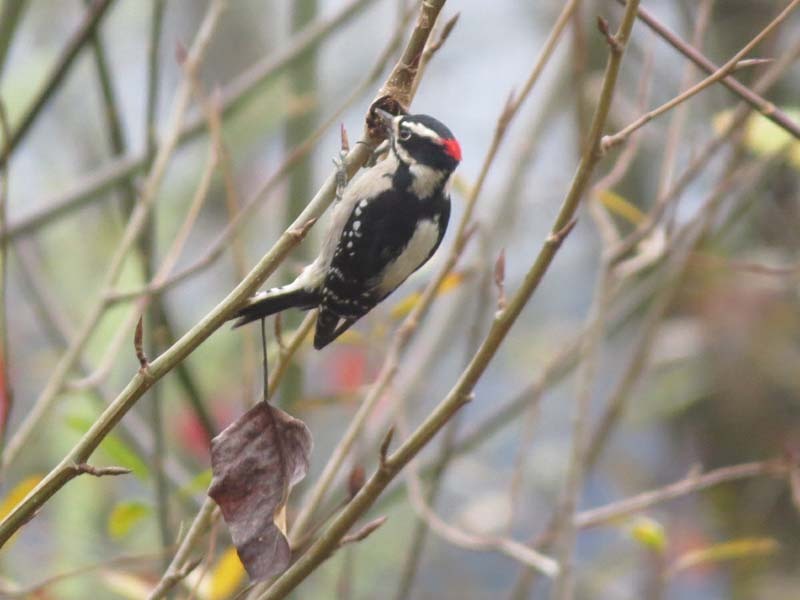 Here he is in a more traditional woodpecker pose. 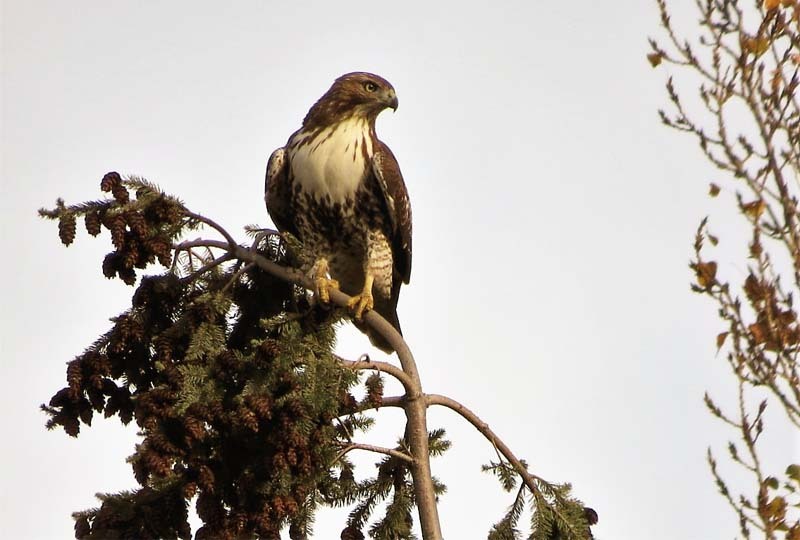 A young-of-the-year Red-tailed Hawk has been hunting the residential zone on Beacon Hill. We’re hoping this good-looking bird is into subtracting from the rat population. This shot I took from inside our house. 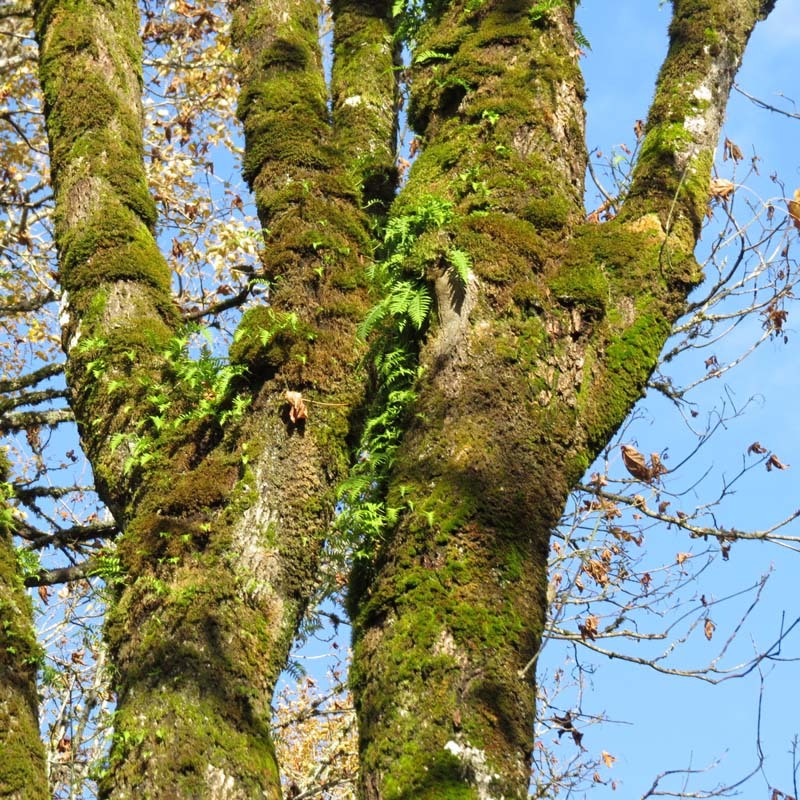 When the sun comes out this is a time of year the Bigleaf Maples and Licorice Fern can look really nice. 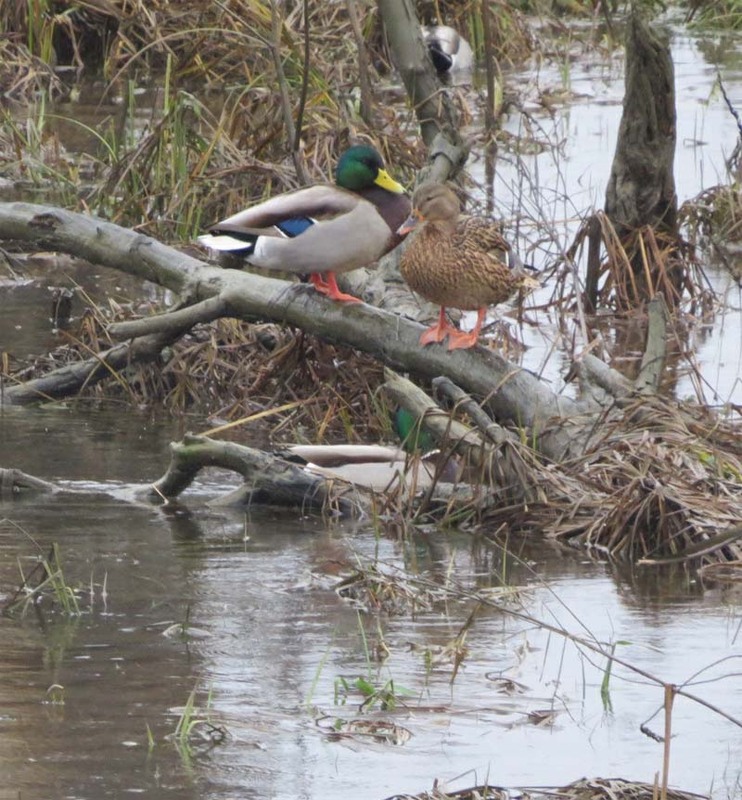 In Lake Sam we found this Mallard Pair and they agreed to pose. 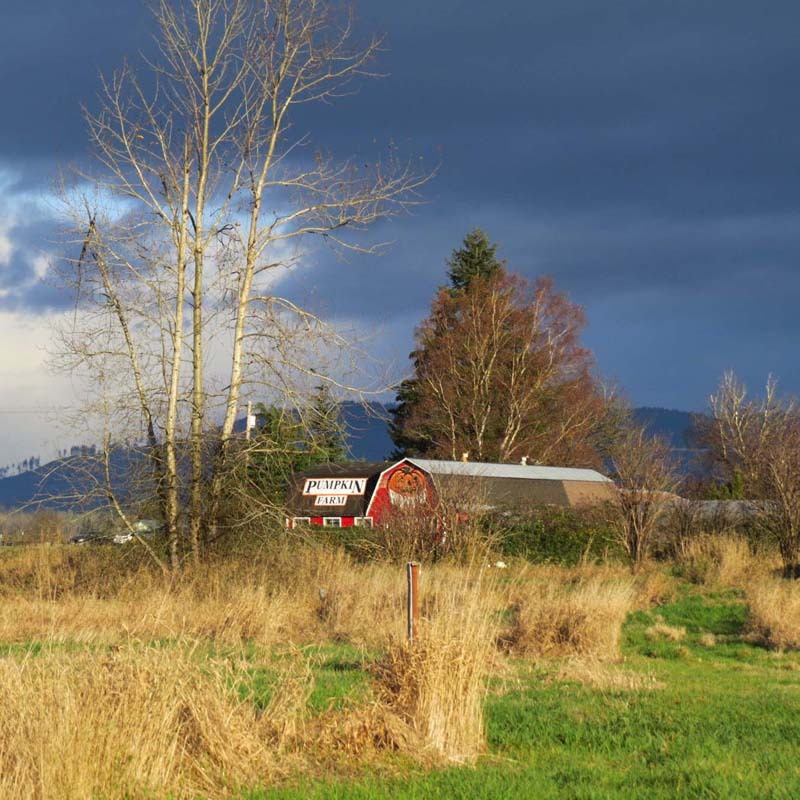 We went looking for Bohemian Waxwings in Magnuson Park. 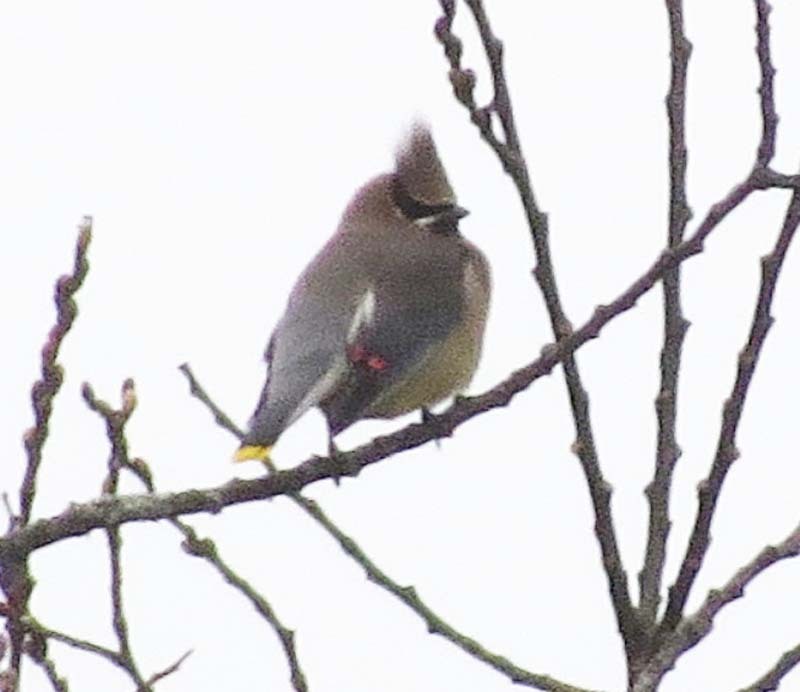 We found Northern Shrike, Short-eared Owl and others but the Waxwings we got to focus on were Cedar Waxwings like this one that was looking flamboyant in the cold. 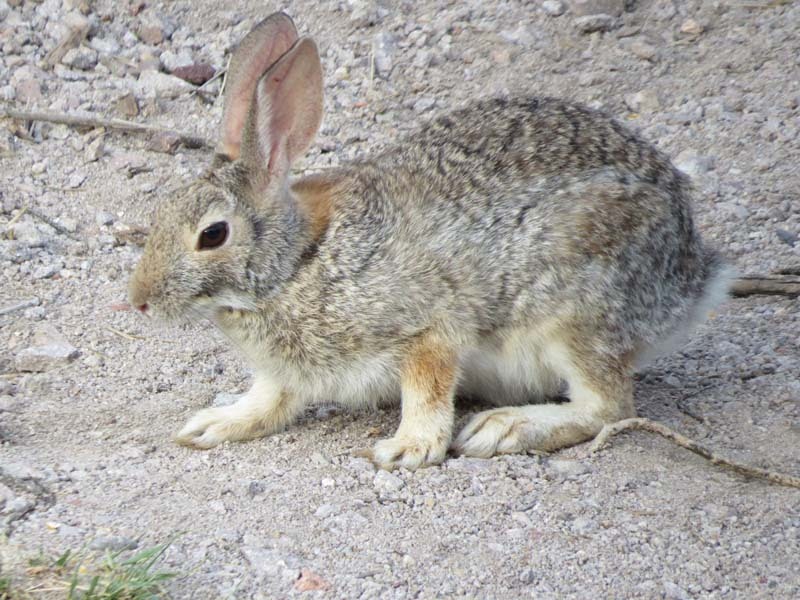 I don’t think I ever put this shot of a Desert Cottontail from down at the ranch up on the blog. I like the pose, it reminds me of an English engraving. 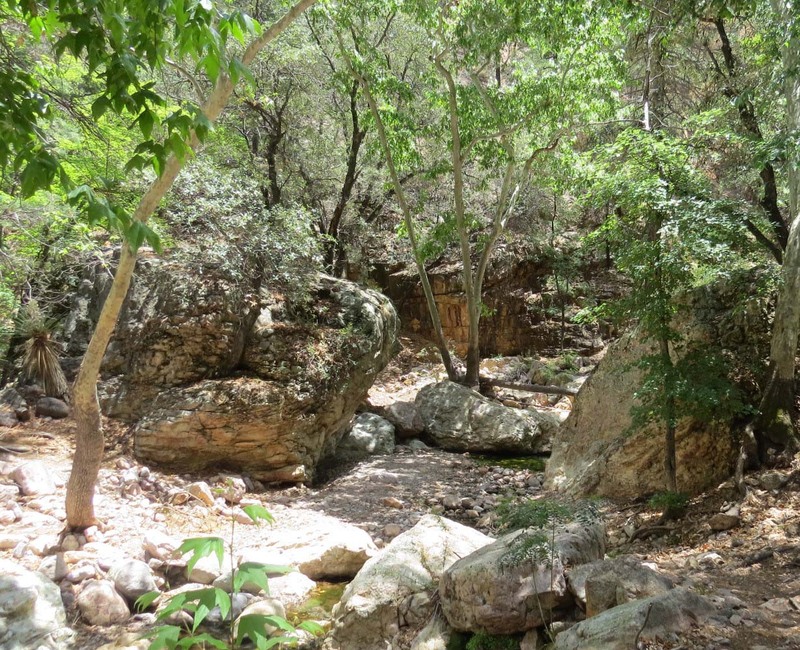 This was Cave Creek in the Chiricahua Mountains of Arizona this summer. Beautiful, but should have water. They just got a good rain down there, .69 at the ranch. We are puluviaphiles, thanks to a customer at the store for teaching me the word (rain-lover). 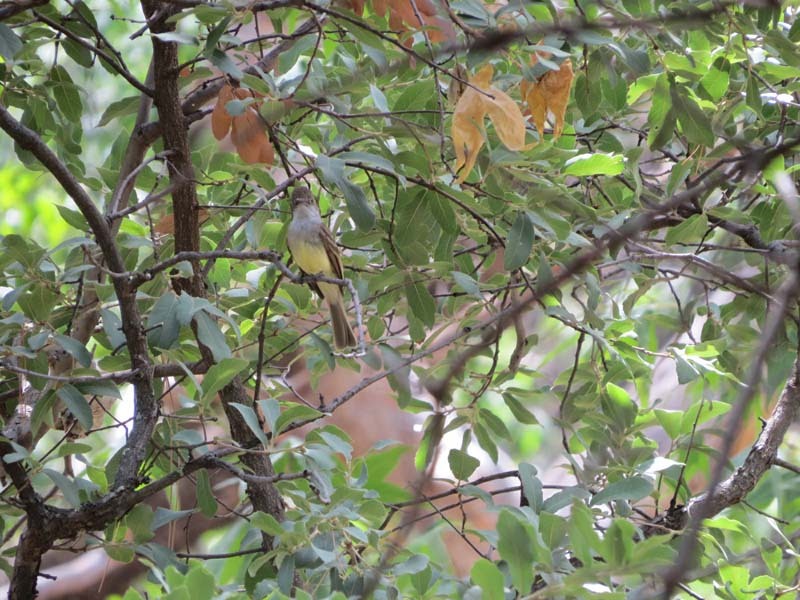 And here is a Dusky-capped Flycatcher from Cave Creek. One showed up far from its normal range recently at Neah Bay, WA, the State Capitol-for-vagrant-birds. 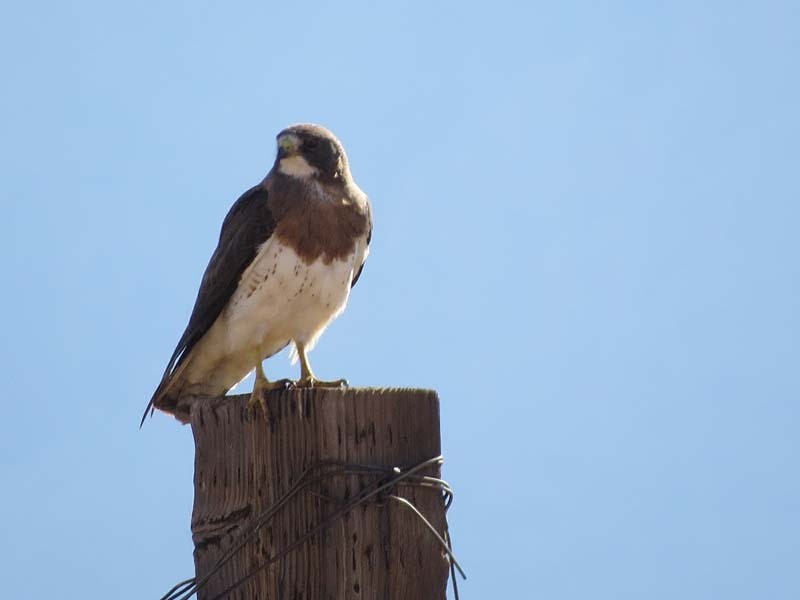 I don’t think I ever put this shot of a Swainson’s Hawk up. I’m hoping to get a good shot of this beautiful hawk in flight. This was down in the San Simon Valley in the NM bootheel. 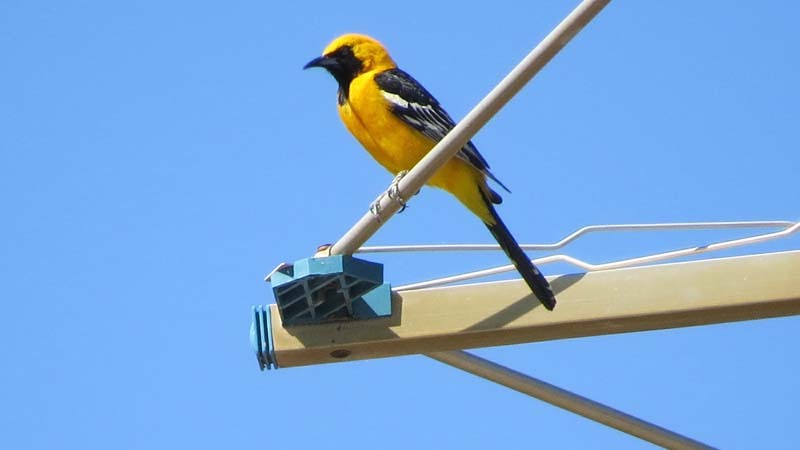 And I’ll end it with this Hooded Oriole in Portal Arizona this past summer. This is not what it’s like here in Seattle lately.